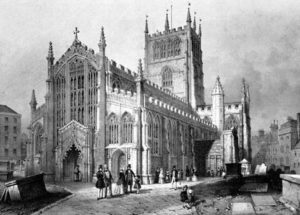 In 1706 St Mary’s Church on High Pavement opened its doors to the poor children of Nottingham. Under the archway of the porch the ‘principal design of the school was to train poor chil dren in the knowledge of God and religion, as taught in the Church of England’. This was the start of Church of England education in Nottingham and that education has been carried on with the setting up of the Bluecoat and Emmanuel schools at secondary level, and the many primary schools within and around the City of Nottingham and Nottinghamshire. 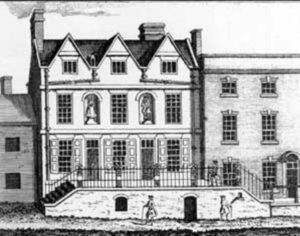 Greycoat School, as it was initially known, and then latterly Bluecoat School played an important civic role during its growth and development. It moved to many sites and there was even a road named after it near the Victoria Shopping Centre. During the 1970s Bluecoat School moved to its Aspley Lane site. In 2003 Bluecoat was asked to take over the running of the school that was being closed at Wollaton Park. The Margaret Glenn Bott School shut its doors in the summer of 2003 and was re-opened in the autumn as Bluecoat Wollaton Park site. Within 5 years the first students at Wollaton Park had achieved record examination results and transformed the learning of young people in the area. 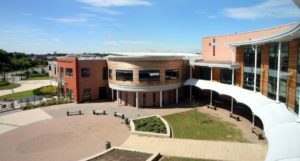 Bluecoat Wollaton received funding through wave 5 of Building Schools for the Future and a new set of buildings cemented its place as a successful and happy school for 750 students aged 11-16. In 2012 Bluecoat School became an Academy. In 2014 Bluecoat became a Multi Academy Trust, sponsoring a local school and helping it move from its Ofsted judgment of inadequate to good in February 2017, a transformation that took place in less than 3 years. The sponsorship of Hadden Park High School (now known as Bluecoat Beechdale Academy) has enabled staff from across the Trust to work together in order to support students at all sites. The overriding vision of the Trust is to support young people who are struggling to be successful, and to ensure they have the best possible education opportunities. The Trust is committed to ‘the transformational power of education’ coupled with collaborative school to school support. 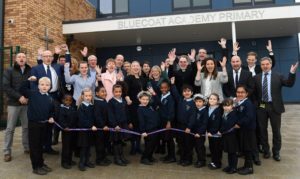 In 2015 Bluecoat Academy opened its own 420 place Primary school, representing further growth for the Trust and creating a learning experience based upon Christian faith and values for children aged 4-11 in the City of Nottingham. In January 2018 The Nottingham Emmanuel School became part of our newly formed Archway Learning Trust as we take our next steps into the future. Bluecoat has long been synonymous with quality education and a history of inclusion and success, and consequently in 2014 when Bluecoat Academy became a Multi Academy Trust, the name of the Trust became Bluecoat Academies Trust. We are proud of our name and our history but having now changed our name to Archway Learning Trust, we believe we are strengthening our Trust, not weakening it. We believe passionately in school to school support, developing staff, school improvement and giving our young people the best possible opportunities to grow, flourish and be successful within the context of a strong faith community. This activity has never been exclusive, and being perceived as rigidly connected to one school could bring fear about autonomy and lack of opportunity that we wish to demonstrate is unfounded. The name change provides a more neutral space where schools can come together to work alongside each other in a genuinely collegiate way, and to create the best education possible.